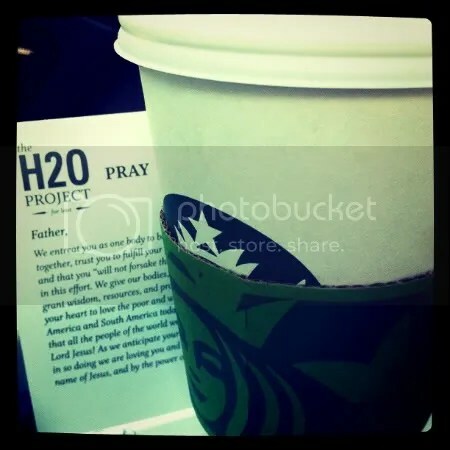 A few friends & I started on this “H2O project” for lent this week. It’s through Living Water International and it’s a Pray. Fast. Give. Basically, you only drink TAP water (yes, we still eat!) and whatever money you would have spent on other beverages (coffee, coke, juice, energy, etc) you give to Living Water so they can build a water well. I love the fasting part of it – when I really want a coke/coffee I pray for the people who don’t even have access to free, clean drinking water. I also have to rely on God to help me with energy, strength, etc – relying on God instead of caffine! What a concept!